At the meeting of 31st meeting of Central Hindi Committee, PM Narendra Modi suggested not to use complex Hindi language for official purposes. He also asked the officials to avoid complex terms or used negligibly to make the communication simple. Know more. During this meeting, he focused on using simple language and spread Hindi language through day-to-day conversations. These all details were issued in a statement from PM Modi. In this meeting, PM Narendra Modi congratulated all the members of the committee for creative and practical suggestions. The issues related to propagation of Hindi language were also shared by all the members. 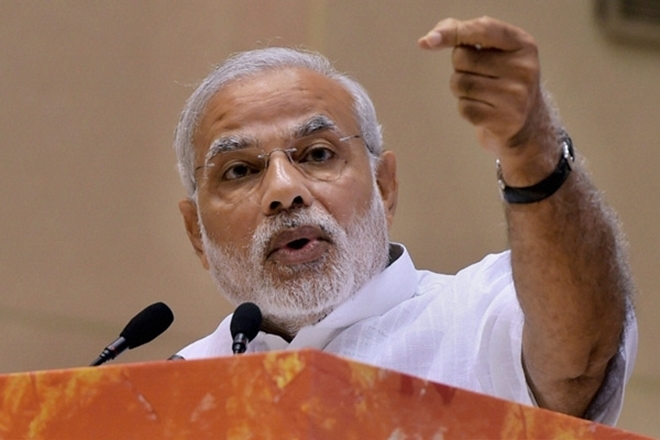 Modi also emphasized on the usage of Hindi to reduce the gap between government and the society. For this, he asked the support from the educational institutions. He said that educational institutions can help in leading this campaign. In fact, Modi shared his experiences around the world regarding languages. During the meeting, he told committee that India can connect with the world using all Indian languages, including Hindi. This meeting was held in Delhi on 6th September and chaired by PM Modi. In this meeting, the chief ministers of Arunachal Pradesh, Himachal Pradesh and Gujarat had participated. PM also released Gujarati-Hindi dictionary published by Central Hindi Directorate. Previous articleSonali Bendre gets a wig made for herself; thanks Priyanka Chopra for it. See her post!